Last week he was still patiently waiting for his mate. 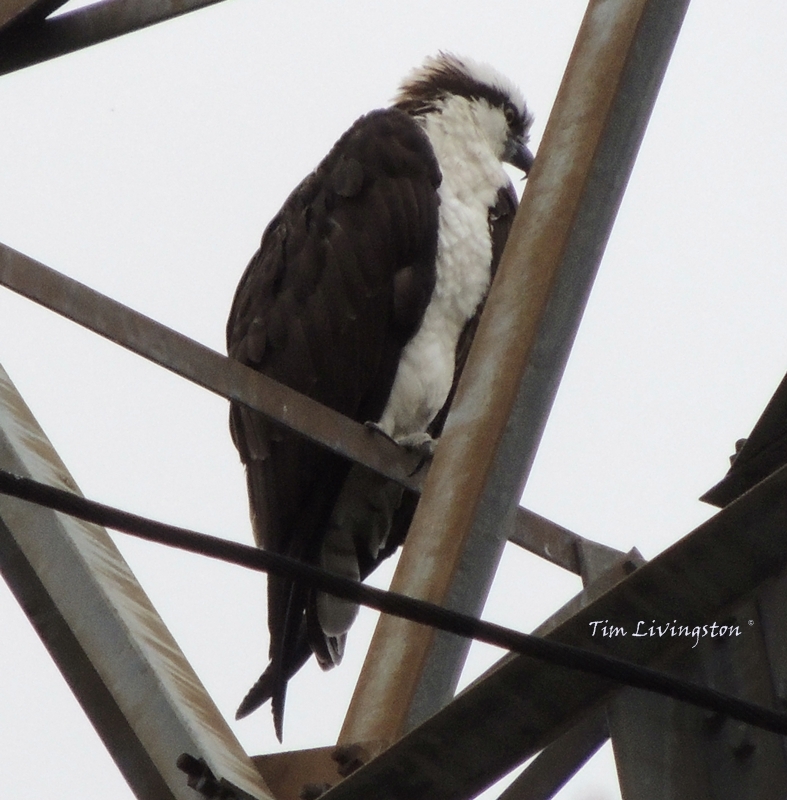 On Friday our lovelorn male osprey was still waiting alone when I left work. Late this morning she arrived. She came one week after he arrived. 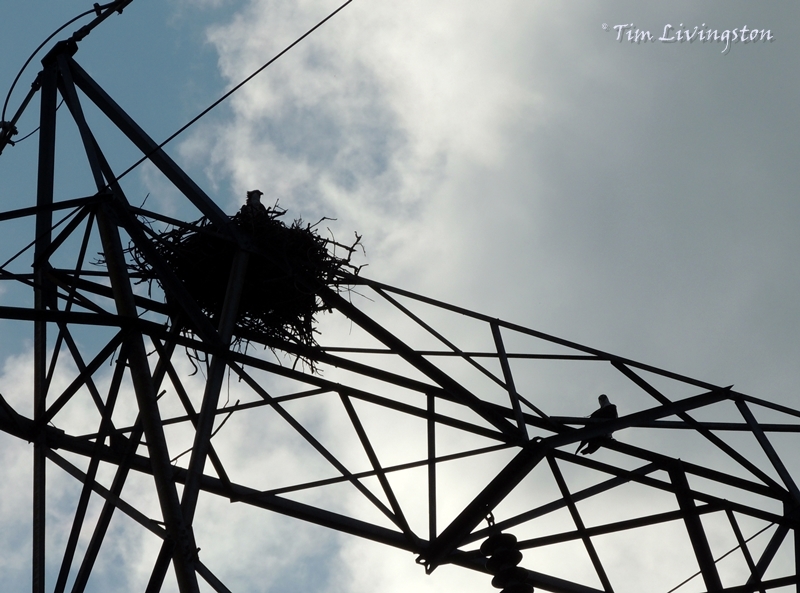 This morning when I arrived there was only one bird in the nest. When I went back outside about mid-morning and she had arrived. The two of them sat close together for quite some time and every now and then, one would call out. I took some pictures then put my camera away into my truck. Blitz grazes during a break. I let the girls out of the truck for a short break. 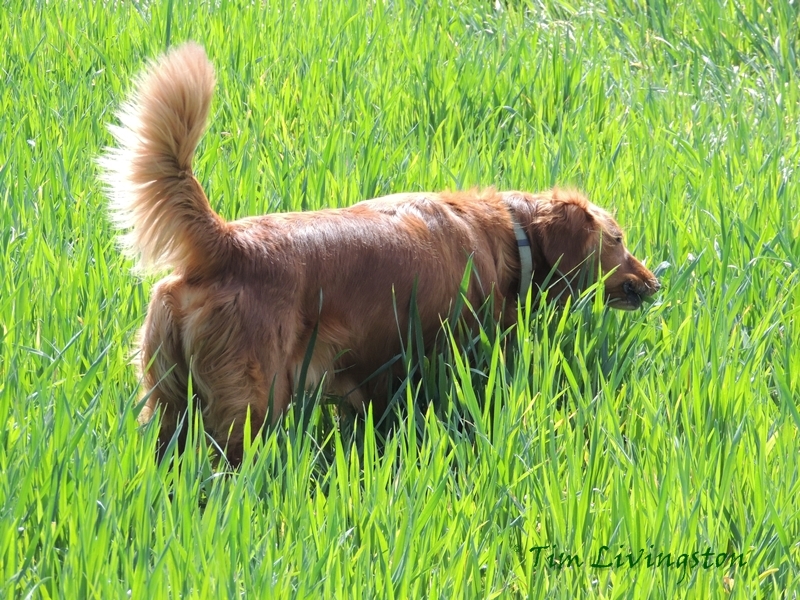 The girls ran to the far side of the parking lot to a field they like, and I walked after them. 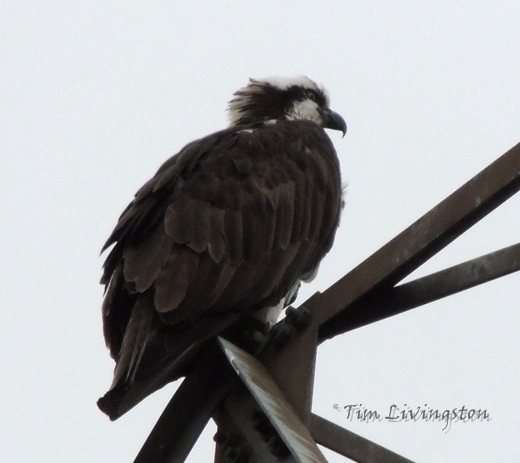 By the time I had almost reached them, I looked back at the osprey. They were now locked in mating embrace. Immediately, I turned and ran for my camera in the truck, but their interlude only lasted about ten seconds. I didn’t make it. A missed opportunity for sure over a rookie mistake. The male immediately flew away and didn’t return until the afternoon. He keeps watching her and she keeps looking away. Playing coy. She is warming up before the big moment. He is enthralled with her. This entry was posted in Wildlife, Wildlife At The Mill and tagged birding, birds, nature, nest, nesting, osprey, photography, wildlife by foresterartist. Bookmark the permalink. They are indeed. I sure enjoy following them. Great shots! they are so amazing.. you are very lucky! Thank you so much. More osprey to come! Love the series you have going here. Sorry you missed the shot but we’ll read between the lines. That all we can do, but I will keep following them! Isn’t she the lucky one. She certainly would have gotten an earful! Thanks. It has been so overcast the last couple of days that the light is very harsh. Hopefully, it will be better soon. What a great post. Beautiful birds. 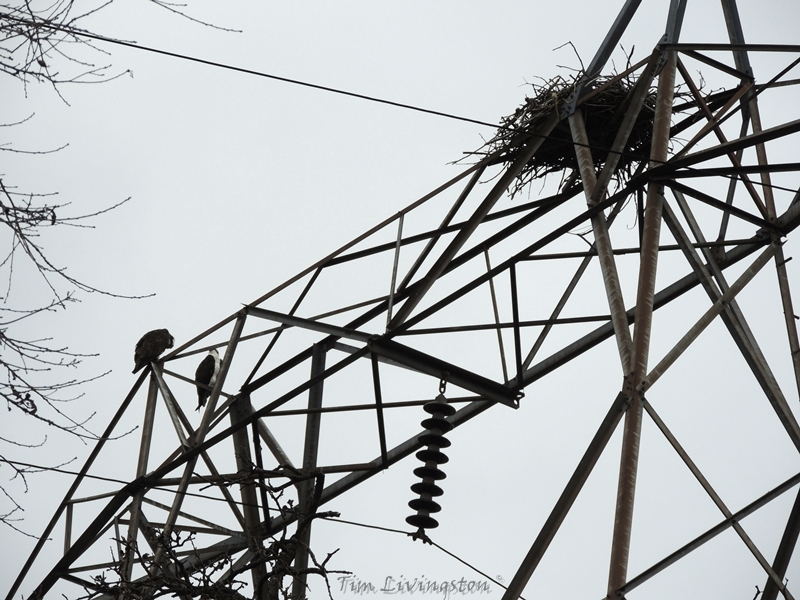 We had a pair nesting up the road from us for many (15 or 16) years, then last year a pair of upstart young eagles moved into the nest (long before the ospreys arrived from winter vacation). 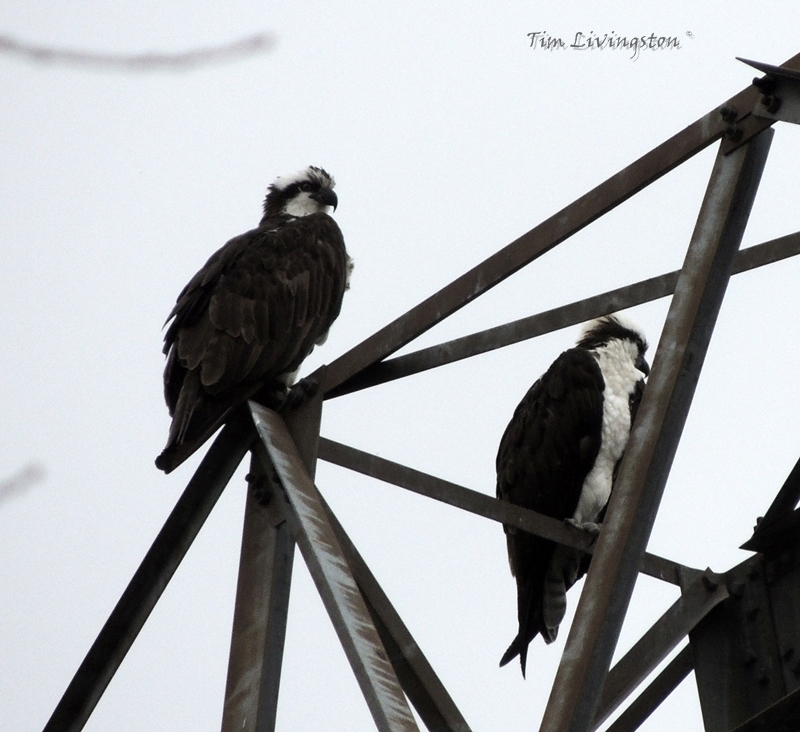 A few days of battle ensued and though I was hoping for the ospreys, in the end the eagles won out. There were some breathtaking aerials. Wow, that must have been amazing. Let me think about that……uuuhhh no. Maybe I need a drone. Maybe he stepped off to have a smoke, LOL! I guess guys are all the same in all species! What are you gonna do? How beautiful! Aren’t they magnificent?! Thank you so much for sharing them with us. Thank you Shelly! They are magnificent indeed and I enjoy following them on the blog. I’m glad you enjoy them too. It was cool to see, and I haven’t seen them do it again, but my camera is ready! Nice post about these birds (that I am not familiar with). 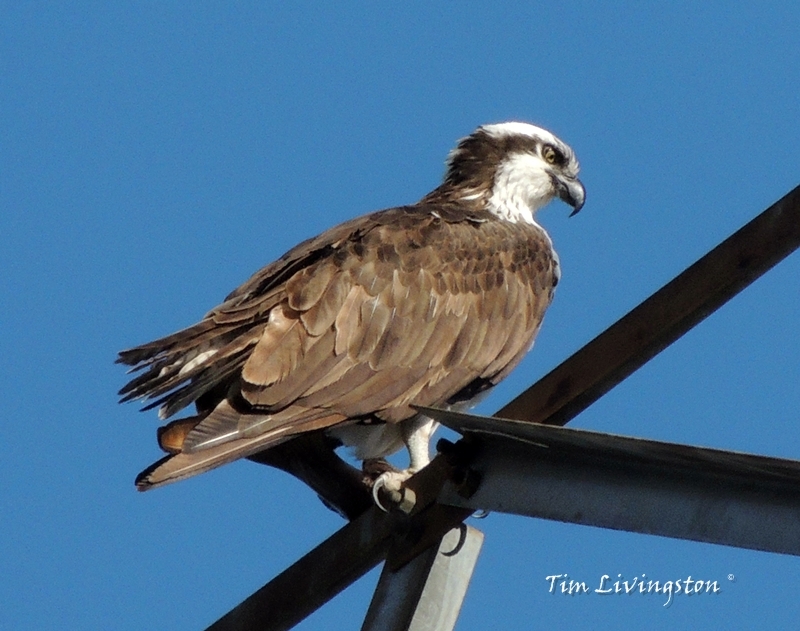 Osprey are basically fish hawks. This is good. You show me Roe Deer and I show you Osprey. I love your photos and stories and scenes of the northwest. How great to work in the middle of all this nature and drama (and to have the artist’s eyes to see it–I’m sure some people just work there and never see the beauty at all). Thank you Jana. I am very fortunate indeed. I’m sure some never notice and some do notice, but don’t take the picture. Then there are those that take the picture, but never share it, I used to do that. Now, through the blog I get to share what I see in my corner of the world. It is great fun and I get to share it all with all of you wonderful and interesting people. Plus I can see all the wonderful art, like yours, that is taking place out there. How great is that. ……sound of keys tapping madly … Poppy rushes in to see what she’s missed ! 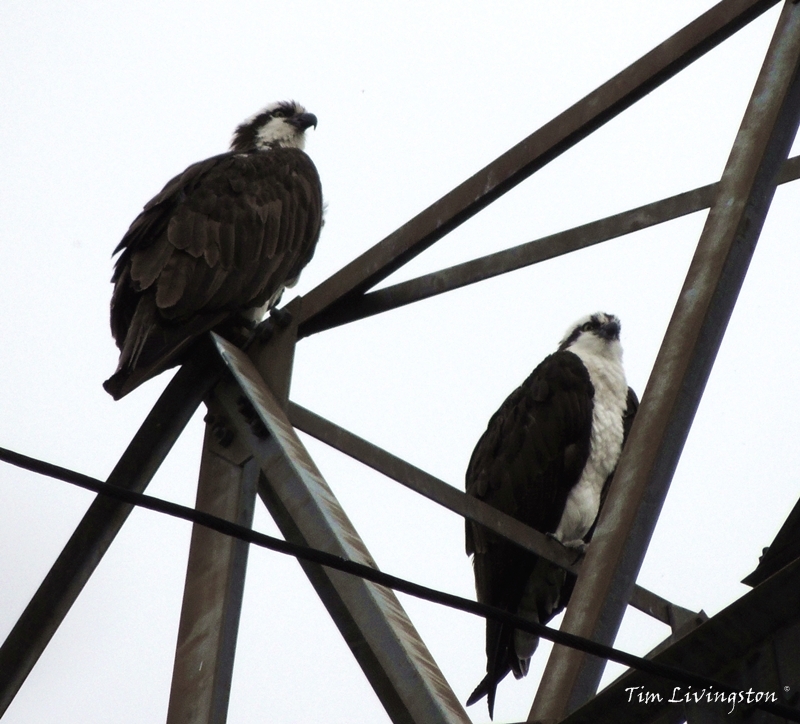 Playing catch up now with the Osprey Romance …. so glad she made it I was so worried for big fella … how long would he have waited I wonder ….